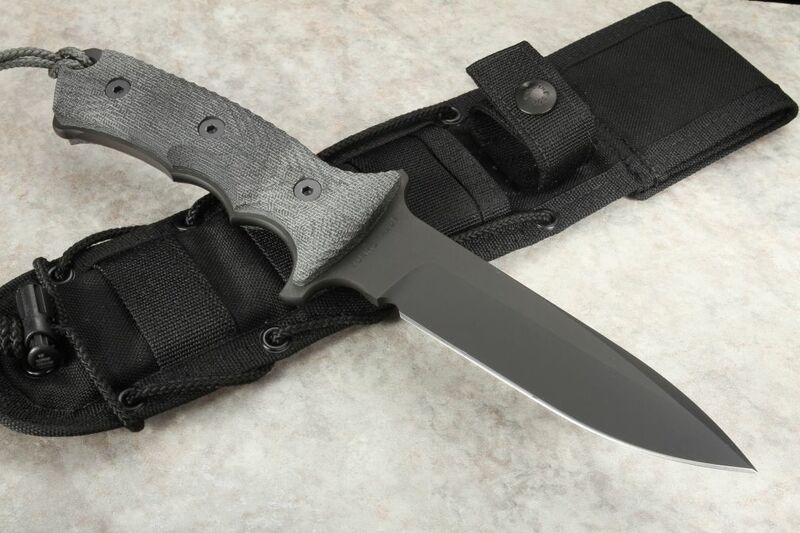 William Harsey designed Chris Reeve Green Beret 5.5" non-serrated tactical fixed blade. American made CPM-S35VN steel with a black PVD coating and a Rockwell hardness 55-57. Hollow grinds on the blade. Full integral design for strength and reliability. Handle features a textured and contoured black canvas micarta which provides excellent toughness and grip in wet or dry conditions. Lanyard hole in the handle has a cord lanyard attached. Jimping on the thumb rest of the spine for great positive traction. The 5.5" Green Beret by Chris Reeve Knives is the perfect all-purpose fixed blade, great for survival, combat, camping, hunting etc. 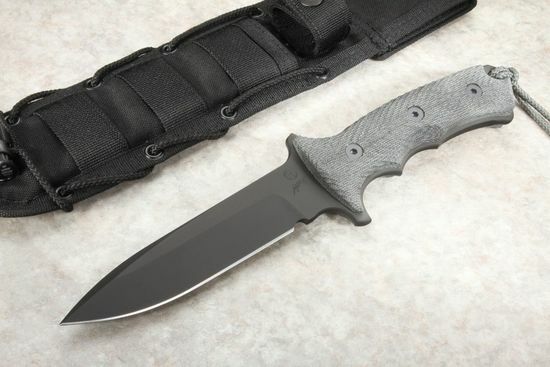 The Chris Reeve Green Beret is made with pride and precision in the U.S.A. KnifeArt.com is proud to represent Chris Reeve knives.